Flower gardening can become a passion; it can also be overwhelming. There are millions of plants to choose from and even more ways to combine them. Rome wasn't built in a day—and its gardens sure weren't either. Start small, and don't worry about making mistakes. Next year you can move, pull out, or dig up what didn't work this year, and you can always embrace what did well. You'll find a garden style and plants that make you happy, and the discovery of what exactly that is can be an unexpected pleasure. Gardens should start with good soil, but most of us don't have the patience for that. It is essential, though, because that soil is what your flowers need to be healthy. Start with a soil test in your chosen area, as soil that leans acidic or alkaline may need to be amended for what you want to put there. Choosing the right location is another key to flower gardens. Most flowers thrive in full to partial sun, and you don't want your garden in a place that impedes other activities in your yard. If this is your first garden, it's probably best to start small. Taking on a large garden plot can quickly become overwhelming, and it may even turn you off from the idea altogether. You can always make it bigger after you've got a start. Is space an issue? Anyone can start a container garden on any scale. This is workable even if you live in an apartment or condo where breaking ground is not an option. Gardening should be fun, so ease into it. As any experienced green thumb will tell you, there's always room for improvement and new ideas. Many of the most beautiful flowers in the garden are annuals, meaning they need to be planted every year. These include favorites such as pansies, petunias, impatiens, and marigolds, which are prized for the brilliant color they add to the landscape. Some annuals are self-sowing, or what gardeners like to call "volunteers." Most of the time, these will seed themselves and produce beautiful plants year after year. Then, there are biennial flowers, such as foxglove and black-eyed Susans. These plants have two growing seasons in their life cycle, one year focused on leaves and food production and the next focused on flowers and seeds. After this time, they will seed out so that the process can start all over again. 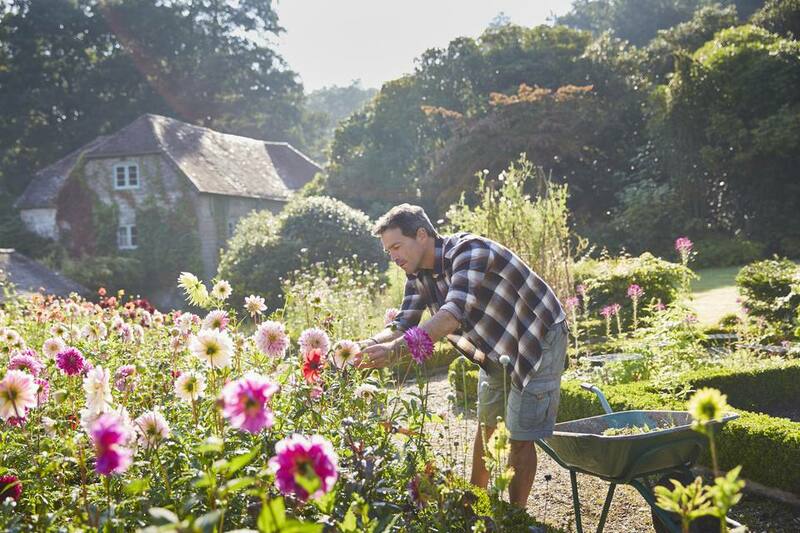 Perennial plants and flowers make a garden look better and better with age because they come back every year—though some are limited to just a few years. Fortunately, there are always new perennials to try and new techniques to learn. Choosing the right plants for your garden and keeping them growing is what makes perennial gardening such an enjoyable journey for the gardener. Their care includes dividing them and knowing when to cut them back after the growing season. 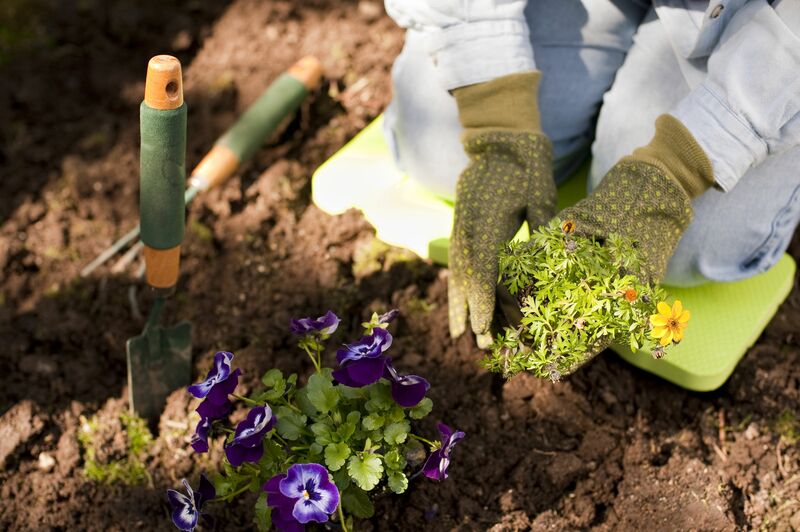 With careful attention, perennials will be a mainstay in your flower beds. Somehow roses got a bad rap for being difficult to grow. You may never grow an award-winning tea rose, but most roses will thrive in a garden. Choose varieties that will flourish in your area, and give them plenty of sunshine. Then sit back and literally smell the roses. A few maintenance tips will help you along the way. For instance, knowing how and when to prune roses will keep your plants healthy and happy. You will also want to prepare them for winter properly. Don't fear roses—embrace them (figuratively, of course). They're fantastic additions to any garden, and you'll be delighted with every bloom. What would spring be without flowering bulbs? Tulips and daffodils are often the first signs of spring, and seeing them come up is a fantastic motivator to get ready for the upcoming gardening season. Bulbs take a little planning, but they pay you back with years of flowers. Don't plant only spring bloomers, either. There are bulbs for every season and every garden. If your neighbor is dividing some, they can also be free for you to start or fill in an area. It's hard to remember when ornamental grasses weren't a fixture in every garden. Even if you can't tell them apart, you can still appreciate the texture and contrast they bring to a garden. And no plant could be easier to grow. Ornamental grasses can function as a backdrop for your flowers, serve as a decorative barrier, and can even bring color to the garden throughout the year. Using them extends your garden into the fall, when many kinds of grass peak, and some even can bring you joy well into the winter. Few flower gardens are made up of flowers alone. Trees, shrubs, and vines give a garden architecture and bones. Many also flower or add colorful and textured foliage. You can attract birds and butterflies with the right shrub selection, grow a showstopping hydrangea or dogwood, or choose plants that show off their beauty in autumn. Groundcovers are another amazing resource. These can carpet or edge a garden as well as tease you along a path. It's very easy to combine any or all of these elements to create a mixed border that holds your interest all year long.